When cruising the internet you always stumble across products that look interesting. 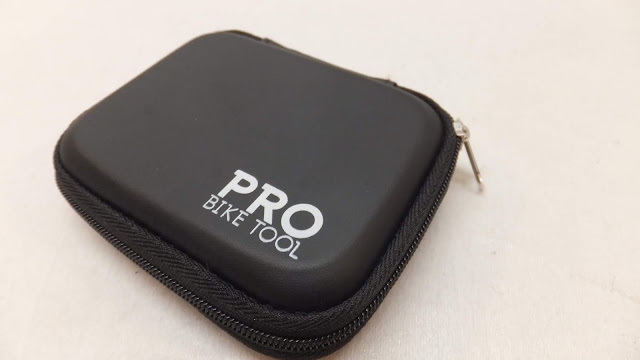 Pro Bike Tool had crossed my path several times until one day I stopped to take a closer look - high quality tools at affordable prices with a focus on quality design and ease of use. 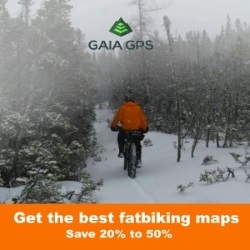 While the product line seemed to be more focused on the skinny side of the industry, their gear did get rave reviews. 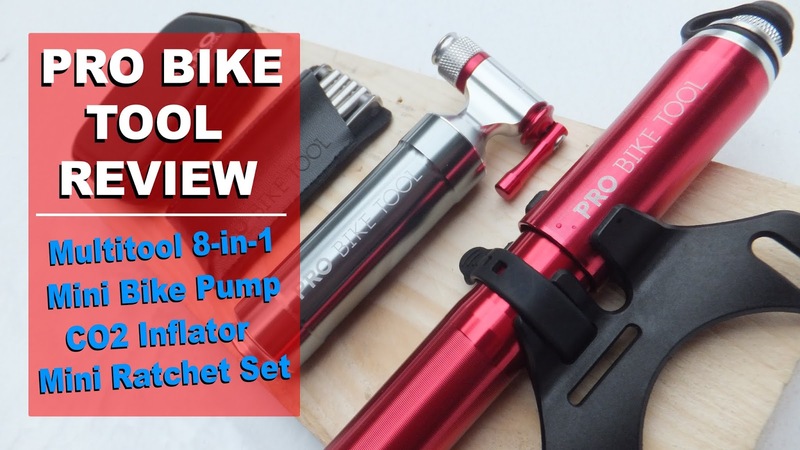 Fatbike Republic reached out to the folks at Pro Bike Tool who sent along an interesting selection of tools for review in fat applications - Multitool 8-in-1, Mini Bike Pump, CO2 Inflator and Mini Ratchet Tool Set. When I first opened the box I immediately noticed the unique packaging – while each tool was packaged inside a plastic box, it was further sealed inside a plastic bag to add an extra measure of protection while shipping. This meant there was no real need for additional packaging material that would need recycling. 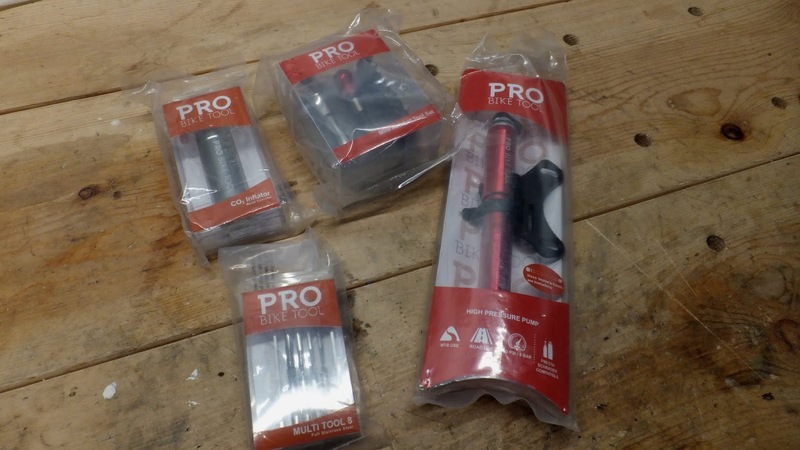 And I confirmed that the plastic material used by Pro Bike Tool is indeed recyclable. Let’s take a close look at each one of the tools. When I opened the box and lifted the tool I immediately felt the solidness in its compact chassis. Flipping open each of the CNC stainless steel tools I could feel the auto-indexing as they “clicked” into place. 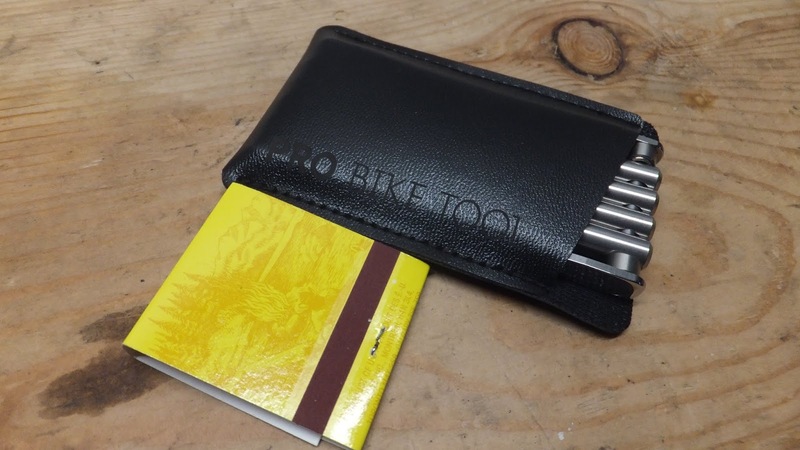 Also included in the box is a sweet leather like carrying pouch and an instructional insert. 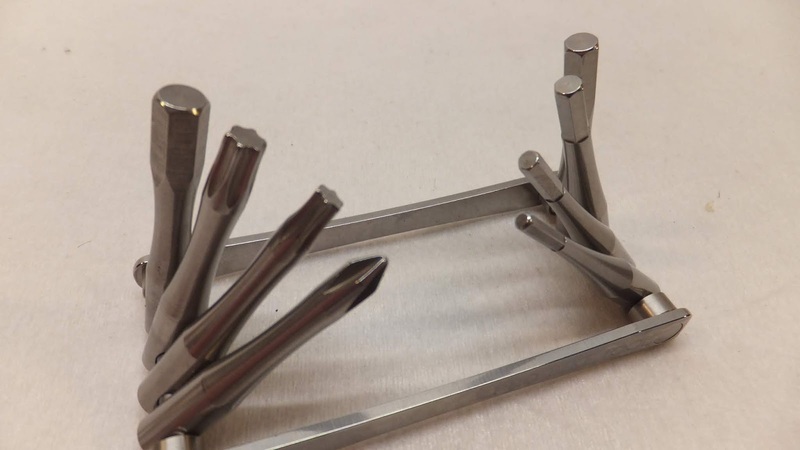 The majority of the tools are of the hex persuasion - in sizes 2.5, 3, 4, 5 and 6. A pair of Torx (T25 & T30) and a phillips head screwdriver bit round out the tools. 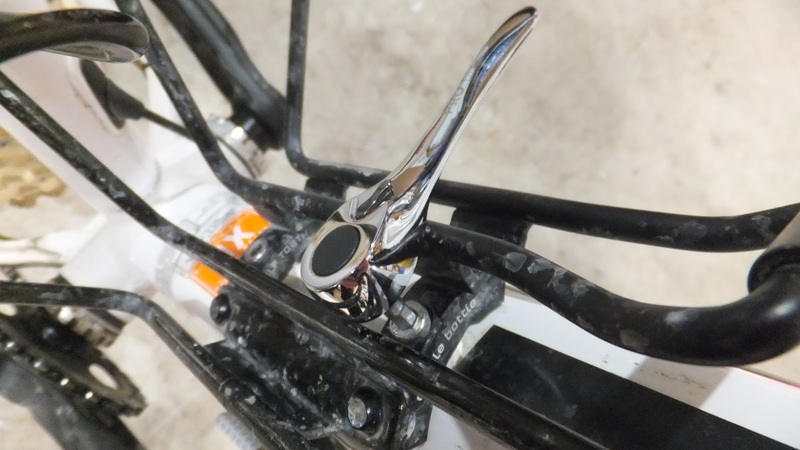 As the 8-in-1 is manufactured from stainless steel it will be much tougher than the many of alloy fasteners on a fatbike – so ensure the bits are well seated before use. 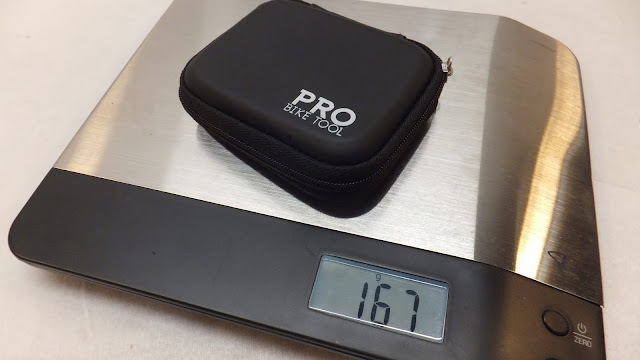 Dropping it on the scales it weighs in at 91g which is 8g lighter than claimed. And the size is extremely compact 3.5 x 1.5 x 0.3 in (8.9 x 3.8 x 0.76 cm) - not much thicker than a book of matches and about double the length. 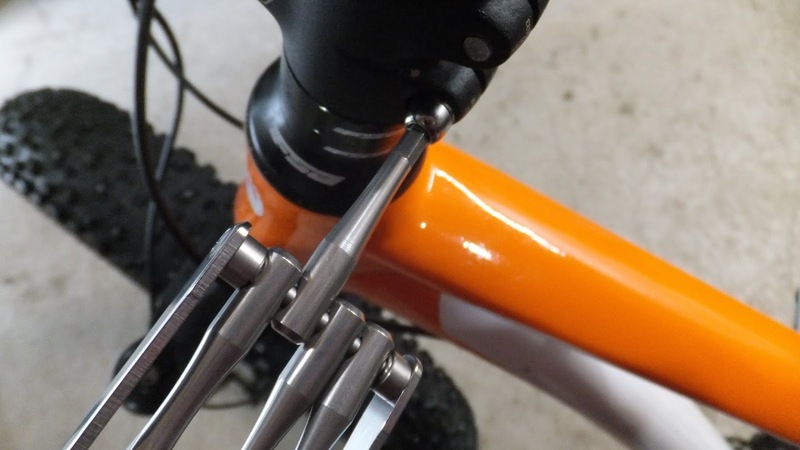 I took the Multi Tool and tackled the nuts and bolts of a Moose 3 that had seen many dirt and snow hours - I wanted to tighten what needed tightening and adjust what needed adjusting. As each bit slid out of the tool body and “clicked” into position I did not feel any looseness. 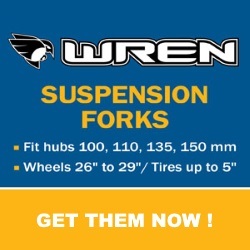 Each tool seated solidly in the fastener and the 8-in-1 chassis provided enough torque to loosen and tighten. Other than the 8mm crank bolt, I was able to easily address all the obvious fasteners on the bike. Lifting the Mini Bike Pump box I immediately became aware of its light weight and compact size. 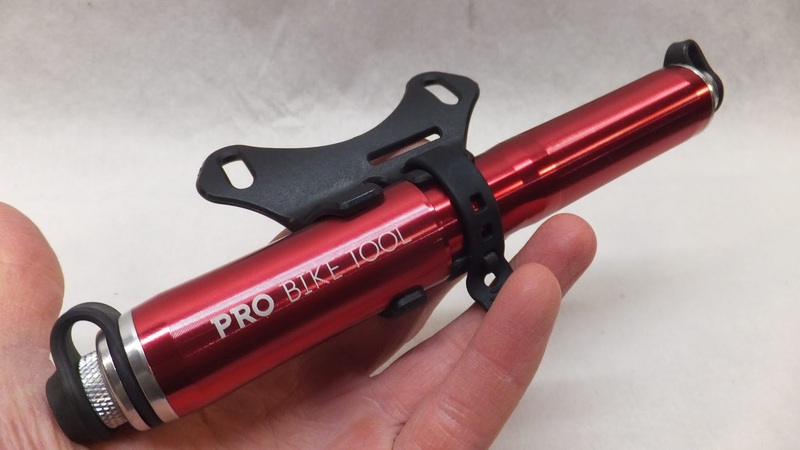 Made from CNC machined aluminum alloy this pump is available in two colors – red or black – and is compatible with both presta and schrader valve stems. 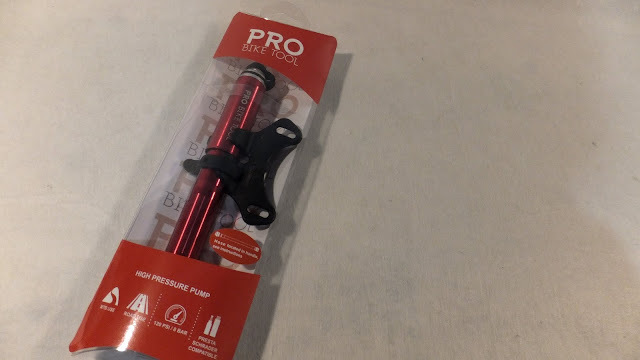 It also comes with a mounting bracket in case you would rather mount the pump to your bike – I normally carry mine in my backpack. Dropping the pump on the scales it weighs in at 109g (including bracket) which is about 9g heavier than claimed. The dimensions are a space saving 7.3 x 1 x 1 in (18.5 x 2.5 x 2.5 cm). 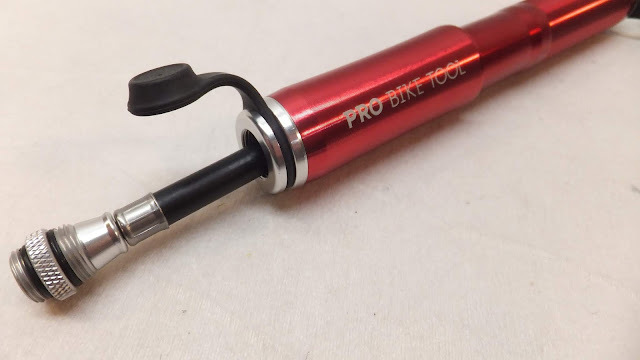 Unlike some bike pumps that have the outlet integrated into the head of the pump, the Pro Bike Tool bike pump has a flexible rubber hose that is housed inside the body of the pump. To access the hose you pop the cap off the storage end, unscrew the hose and pull it out. 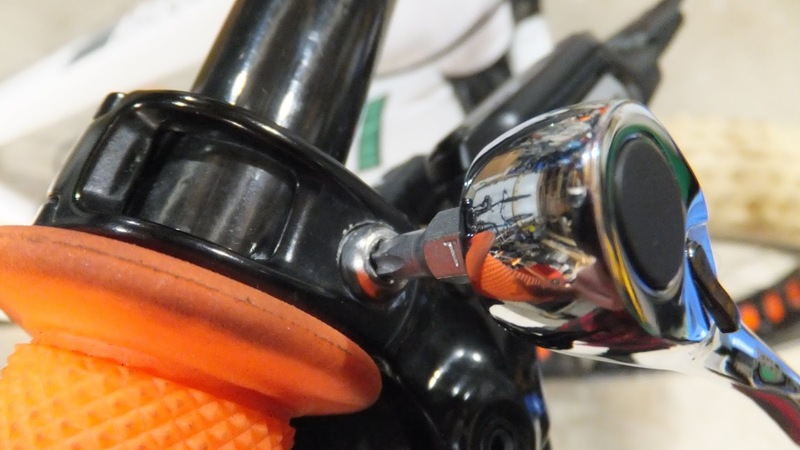 The hose is double ended - presta on one end and shrader on the other – so the actual valve stem determines which end is screwed into the “pump end” of the pump. 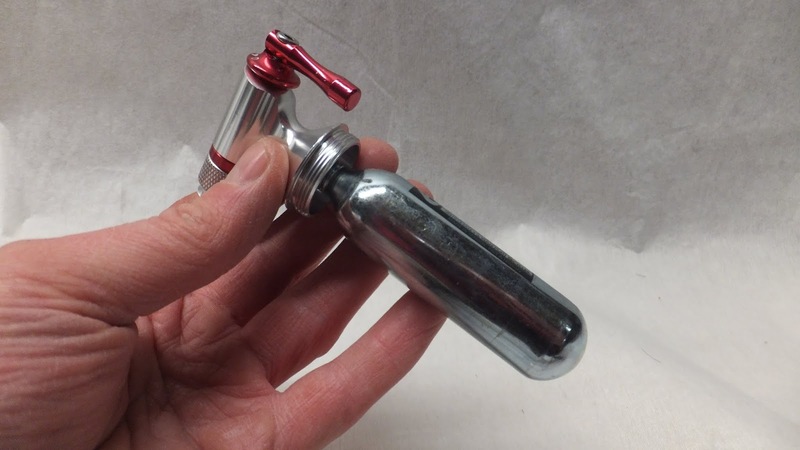 Once assembled, attaching the hose end to the valve stem meant that the entire pump and hose had to be rotated - which was relatively easy due to its small size. 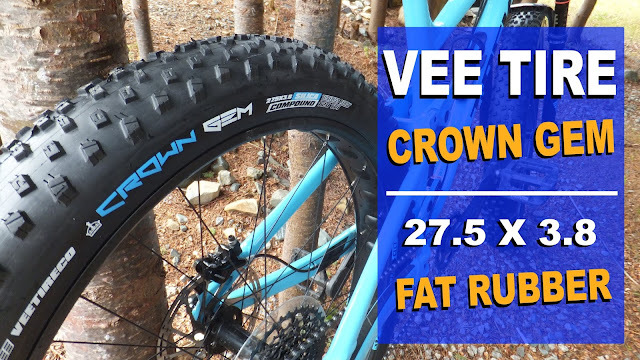 While I did not have the necessity to use the pump when out on the frozen trails, I did test it on a dead flat Vee Snow Avalanche 4.8 tire. 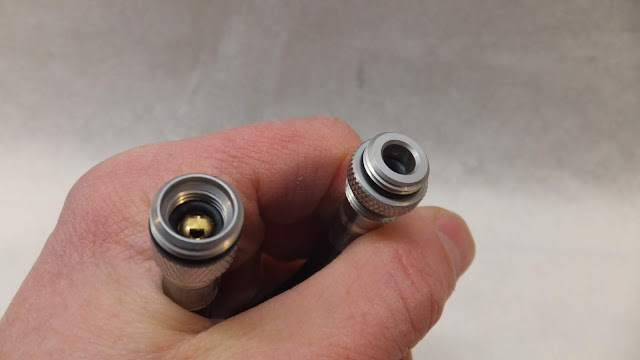 While the valve connection was leak free, it was a little tricky to attach the hose to the valve stem when wearing gloves. 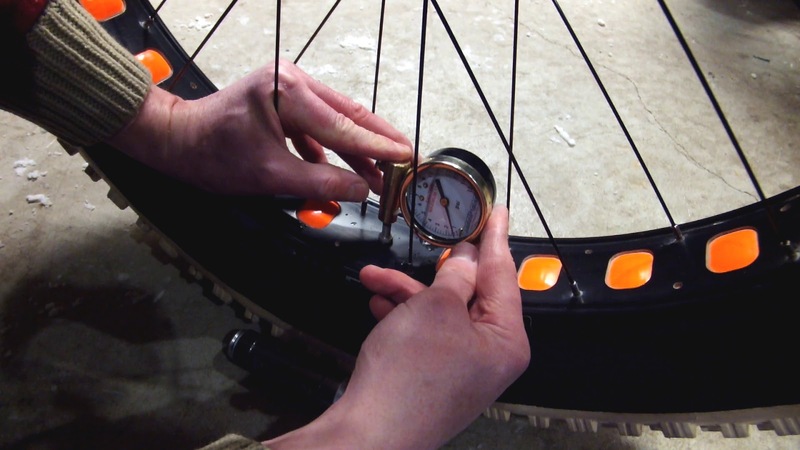 When attached, it takes about 100 pumps for each 1.0 psi added to the 5” tire - which is expected due to its compact 1.0" diameter and a stroke of 4.5”. 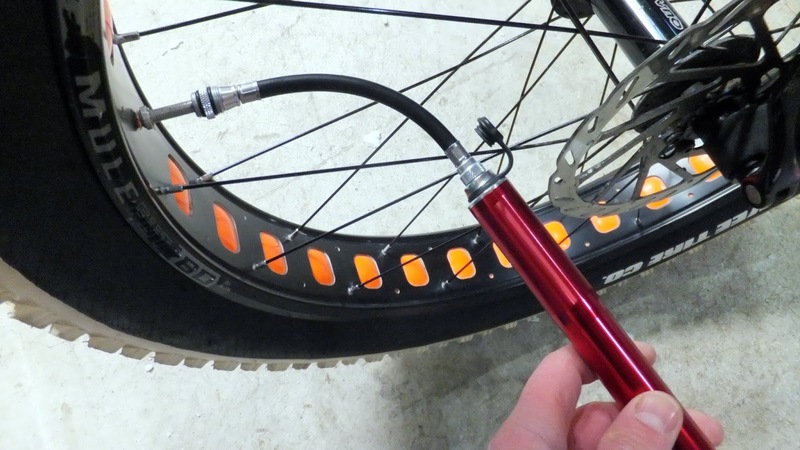 Having never used a CO2 tire inflator before, I wondered how it would work in fat applications. 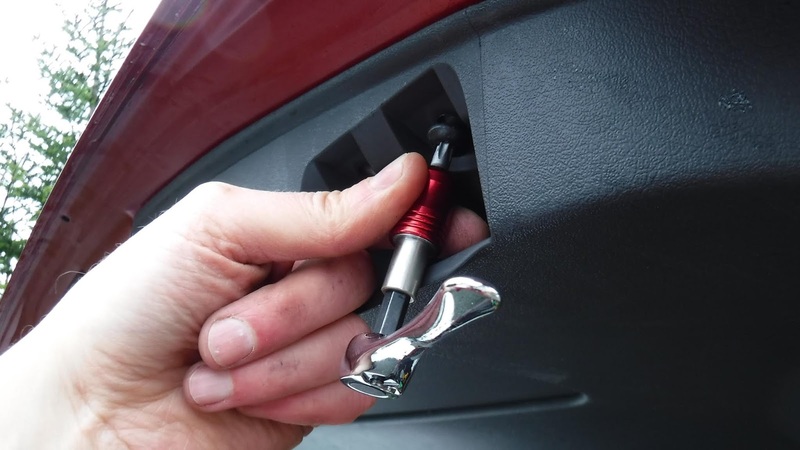 For those unfamiliar with CO2 inflators, it’s simply a device that allows you to use carbon dioxide – which is compressed inside a tiny canister – to quickly fill a tire. 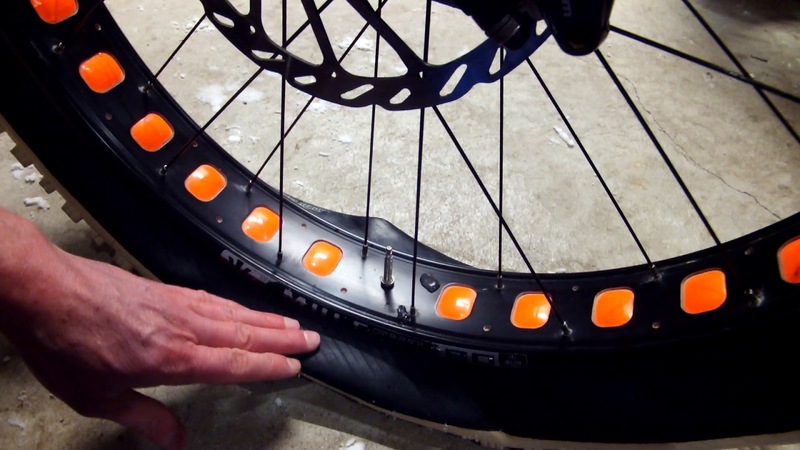 A lot of people in the skinny tire world use these devices. 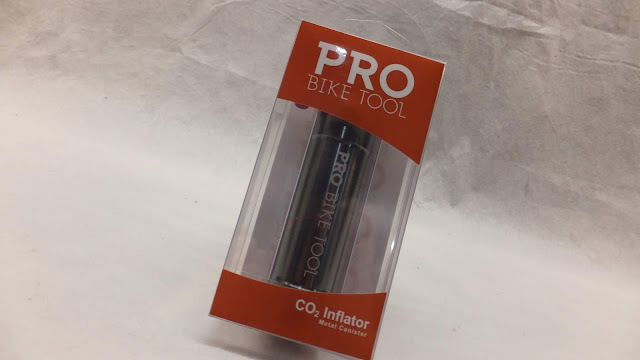 This CO2 Inflator from Pro Bike Tool actually comes with a built in canister which does allow you to store a CO2 cartridge before and after use. 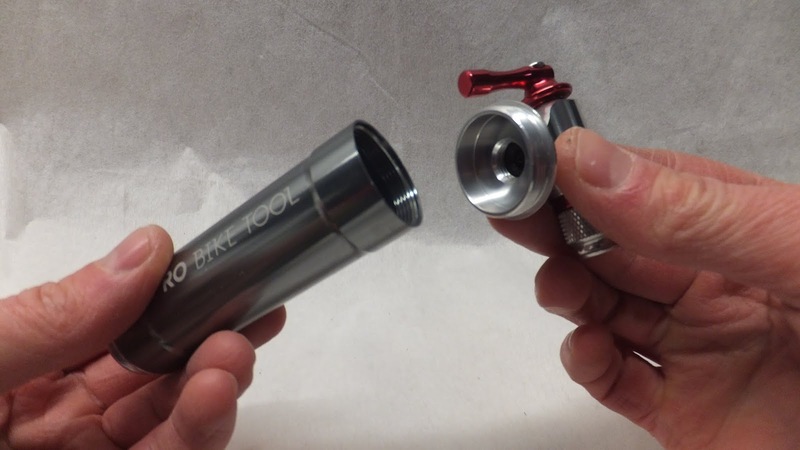 Crafted from aluminum alloy, the inflator has a twin valve head – for presta and shrader. 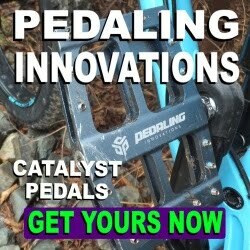 There is also a lever that allows for the controlled release of the CO2. 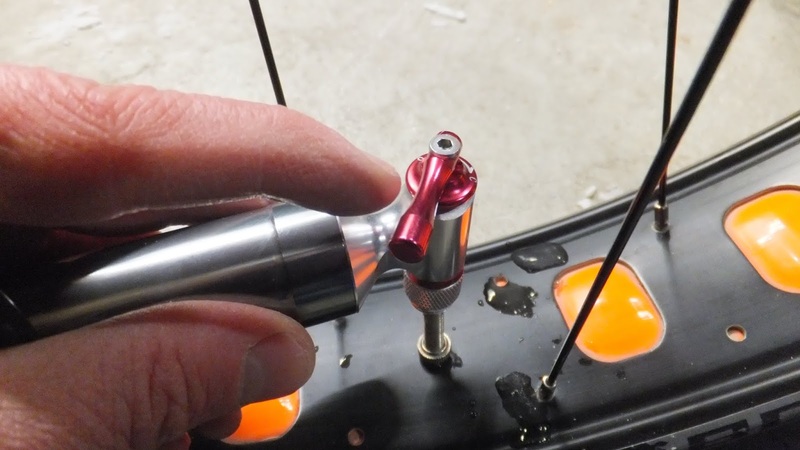 Additionally, Pro Bike Tool included a spare o-ring in case either of the two in the inflator wears out. Very thoughtful. 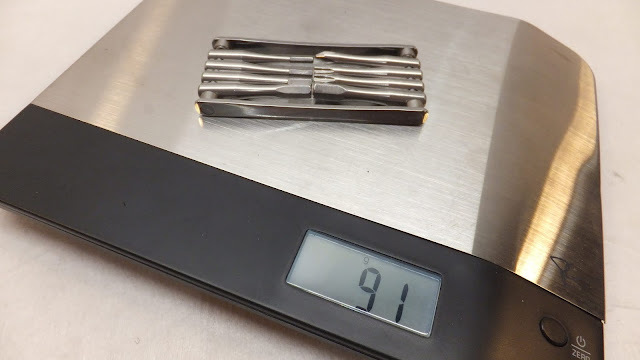 Weighing in at 54g this compact device is actually 4g lighter than claimed. Measuring in at 4.6 x 1 x 2 in (11.7 x 2.5 x 5 cm) it fits into the palm of your hand and is not clumsy to handle. 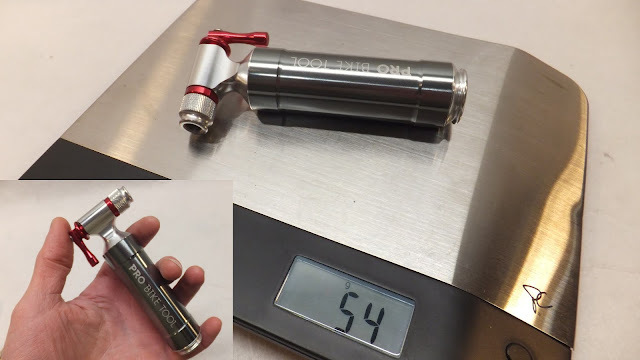 There are several different sizes of CO2 cartridges available, with the 16g being the most readily available and the largest one that can fit inside the canister. 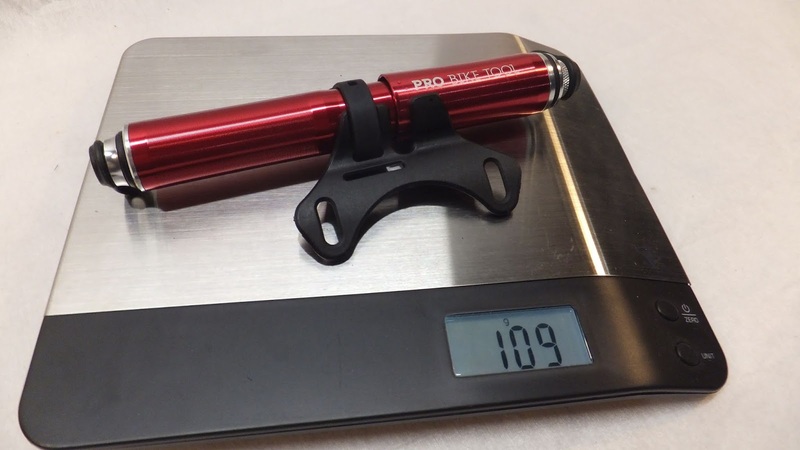 According to the Pro Bike Tool chart a 16g CO2 cartridge will fill a fat bike tire to 3 psi. I tried the 16g cartridge on a fully deflated Vee Snow Avalanche 4.8 tire. The cartridge emptied itself into the tire in mere seconds and got extremely cold in the process with the canister getting a layer of frost. While the tire did inflate super quickly, it only reached 2.5 psi – a little low for riding anything but the softest snow conditions. If this was a 4" tire it would have probably hit the stated 3 psi. 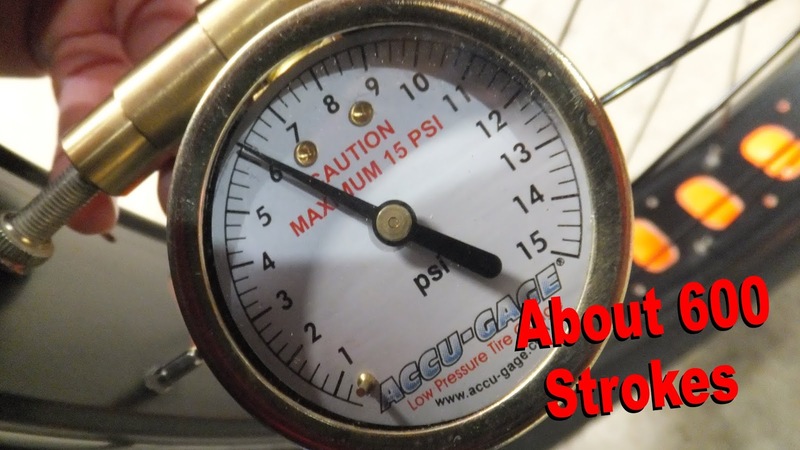 To get a minimum 5 psi you would need two 16g cartridges or one cartridge with some additional assistance from a hand pump. Probably the most interesting of the four tools supplied for review was the Mini Ratchet Tool Set. It is a super tiny ratchet wrench with a magnetic extension and 10 hex bits all housed in a hard case zippered pouch. 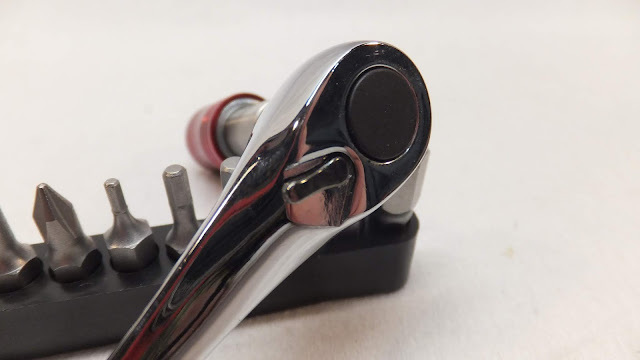 The ratchet is made from stainless steel and has a lever on the back to change the drive direction from clockwise to counter-clockwise. 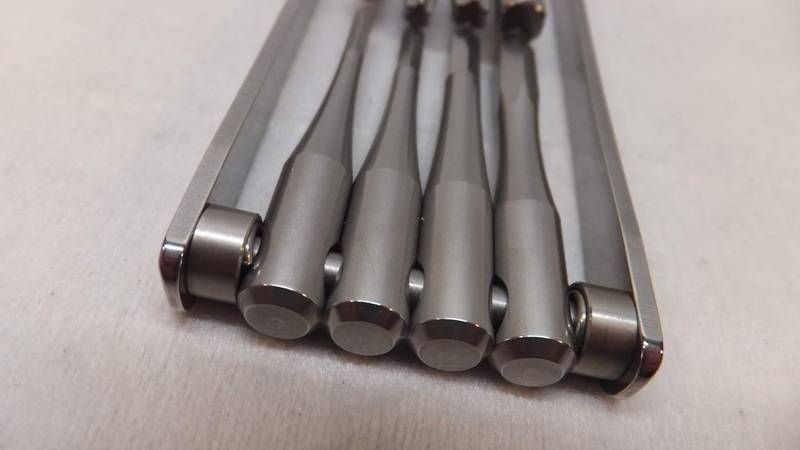 It operates in the same manner as its larger more industrial ratchet cousins . . . but much smaller. The ratchet is so small that it did fit in the palm of my hand, with the magnetic extension almost being the same size. The entire kit weighs 167g with dimensions 3.8 x 3.0 x 0.7 in (9.6 x 1.5 x 1.3 cm). 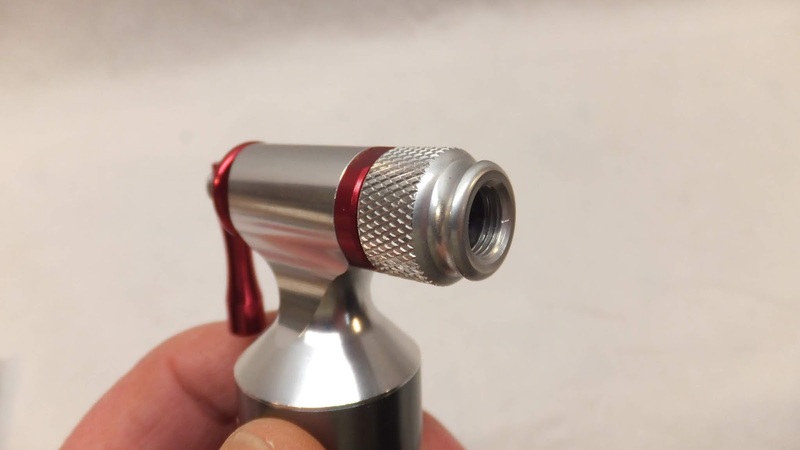 Although it is small in size it's no way small in performance. 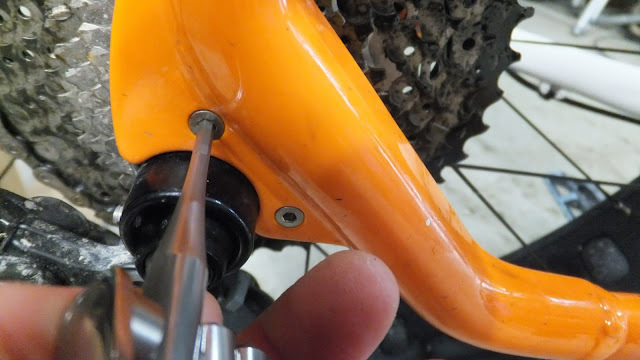 The 10 supplied bits allowed me to check the fasteners on my Norco Sasquatch 6.1 . . . including the 8mm crank bolt. I also found it quite handy when removing interior trim in my vehicle when replacing a wiper motor. You can actually get quite a bit of torque on this wrench as compared to a screwdriver. 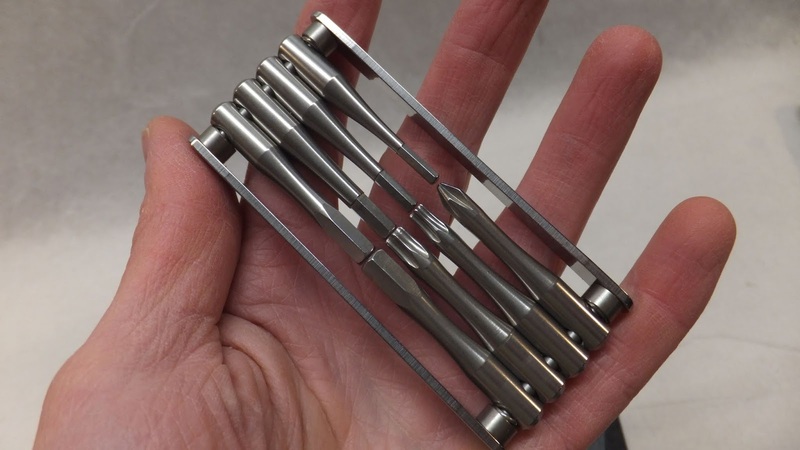 If quarters are tight, the hex bits can be put directly into the ratchet head . . . or use the magnetic extension if a little extra length is needed. 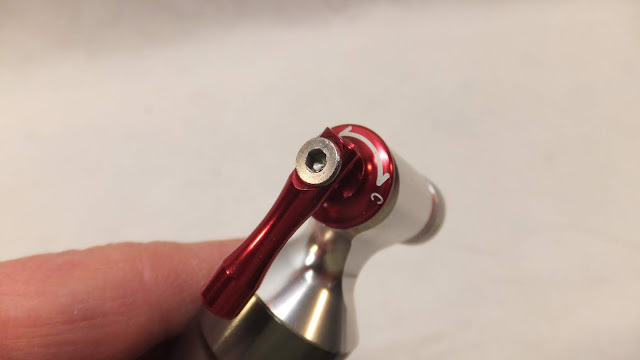 The red collar on the extension rotates so it is a very convenient place to hold when in use. 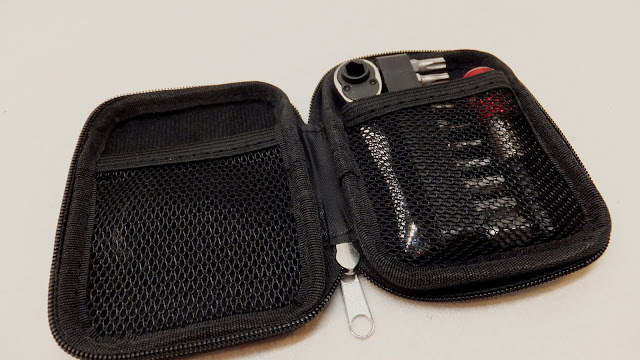 While everything fits nicely into the hard sided zippered pouch, there is plenty of room for additional bits or even a mini chain-break tool. 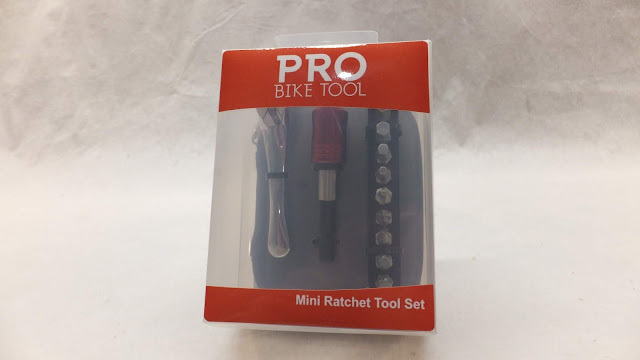 If you take a look at the Pro Bike Tool site you will notice that all their tools are very reasonably priced and each have hundreds of positive reviews. 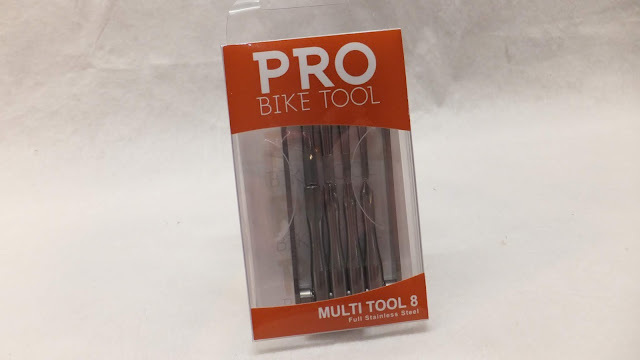 You are going to be hard pressed to find a more compact, lightweight and durable bike tool than the Multotool 8-in1. 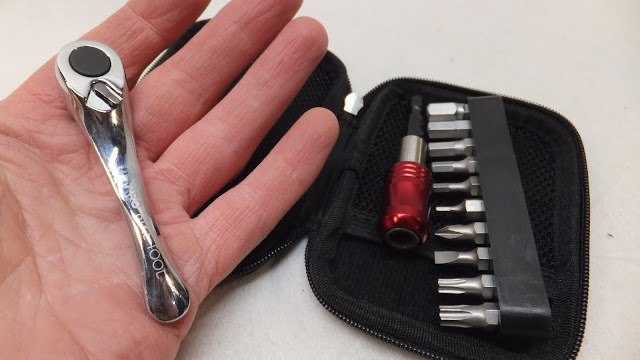 It can practically be carried anywhere - tucked inside its neat pouch - allowing you to tweak just about every fastener on your fattie. 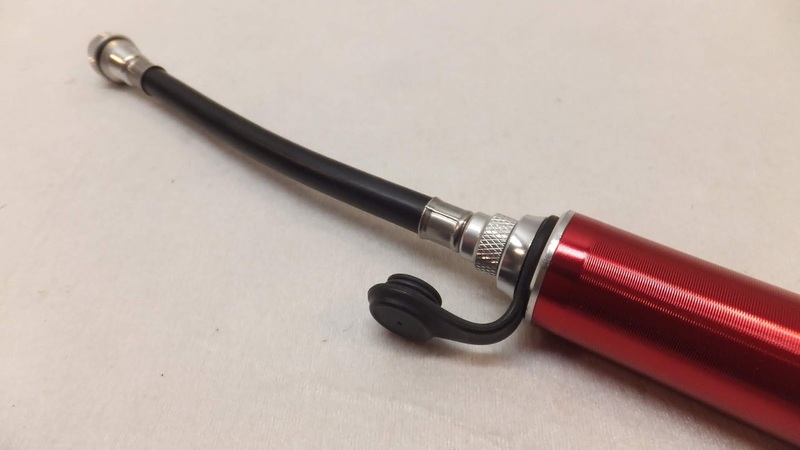 The Mini Bike Pump long slender design can easily tuck inside the recesses of your backpack. 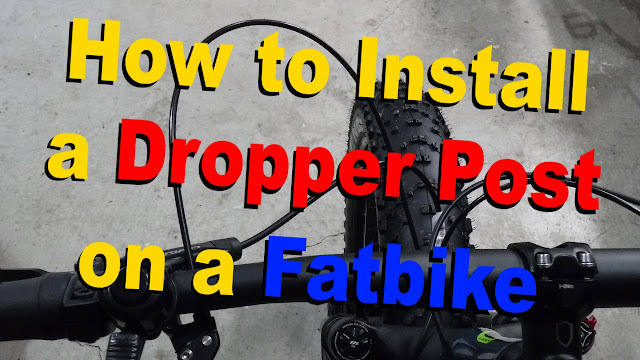 Due to its compact nature it may take a few minutes to get up to riding pressure with an empty tube, but it's way better than the alternatives of carrying a bulkier pump or walking home with a flat. The CO2 Inflator does an amazing job of slamming a huge amount of air in a tire very quickly. 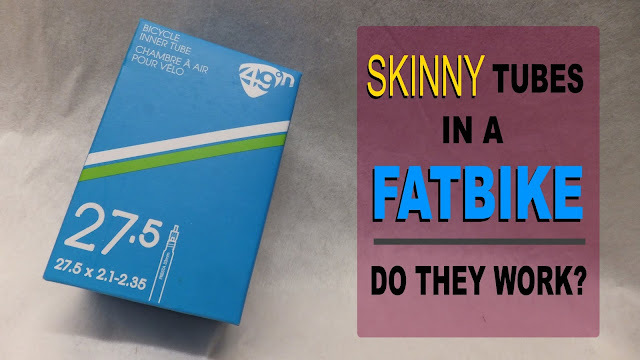 Carrying two 16g cartridges - to hit riding pressure - may seem a little much for the everyday rider, but it might be perfect for those riding timed events where every second counts. 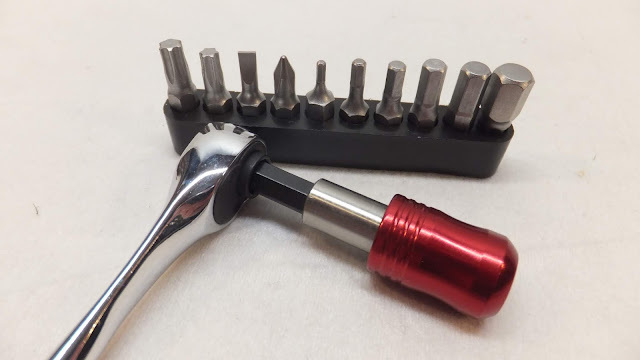 The Mini Ratchet Tool Set is one neat little tool and is probably my favorite of the four reviewed. 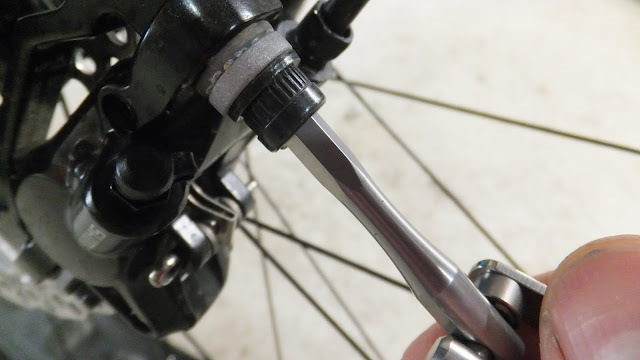 While super handy and convenient when working on a bike, it can also be used on other projects around the shop providing lots of torque in its compact size. 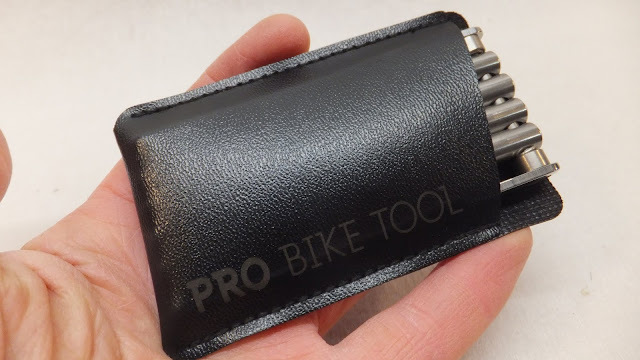 And the zippered pouch can hold additional bits, small tools or bike parts. So if you are looking for high quality, well thought out and reasonably priced tools for working on your fat bike, be sure to check out the folks at Pro Bike Tool.